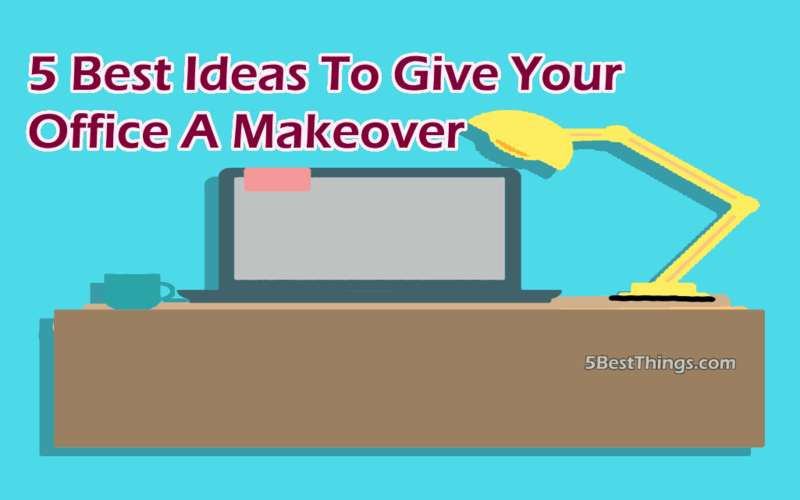 Is your office is in a desperate need of a makeover? Not quite sure, are you? In case you’re having second thoughts take a look around your office. Are the walls and ceiling clearly showing the signs of aging? Or, is your office filled with drab and dated paneling with dry walls all patched up? Are there erratically flickering aged fluorescent fixtures over the mismatched and peeled furniture? Need we say more? Usually, business owners for such cases have immediate and long-term plans to upgrade their company’s office. Although you may be eager to jump straight into the decorating and planning, you need to make sure you do the appropriate preparation for a redesign. The reason your office looks so old and worn is probably because it’s dirty, and so before any kind of alterations to the layout, you need to invest in some professional cleaning. Make sure to hire fully trained specialists, as offices often require a much deeper clean than your regular house. It may not be the fun part, but cleaning the office will give you the go ahead to start the office makeover. Without wasting a minute more, let’s get started! Adding plants is a great way to add texture and color to your office and a little extra oxygen than usual to your lungs. It’s one of the simplest ideas of all which can be easily incorporated into the bare spaces and corners of the office without costing too much. In fact, not does it only offer both aesthetic benefits for both employees and clients, but also create an environment which is more conducive to concentration and productivity. Therefore, look for plants that are the correct scale for your space. Often, floor plants make a great addition to any office makeover project. Larger plants do have the capability to give the office a complete makeover, but they can be quite heavy. 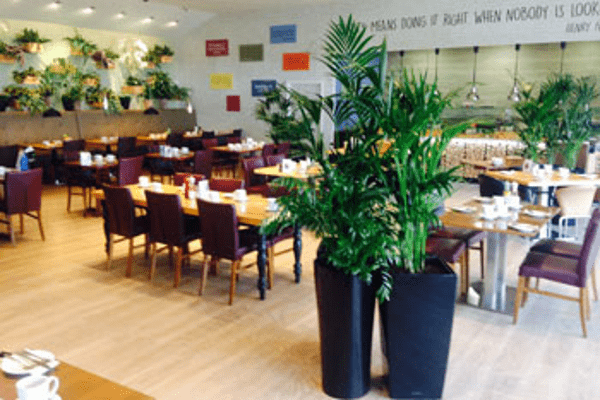 Alternatively, fake plants can do the same job but with no maintenance. However, literally bringing a little life into space can help boost creativity. So, go green! The erratic flickering of an aged fluorescent fixture isn’t just an eyesore; it can also be a huge distraction for your employees. If you want to keep your employees engaged and get the most out of your office space, consider adding an improved lighting design. Many designers now view lighting fixtures as a foundational element of the overall all design of a space. It will not only allow you to help increase the levels of productivity of your employees but also reduce the electric bill. 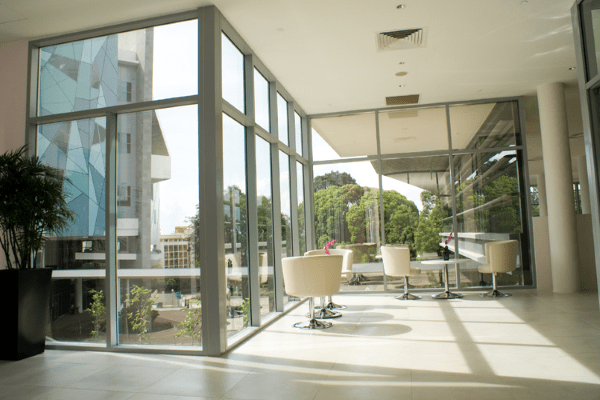 On the other hand, incorporating natural lighting sources into the office design, which is considered as the best alternative to harsh lighting and dim lighting systems is a great way to spread illumination too, Often poor natural lighting in the workspace can lead to serious health problems such as eye strain and migraine headaches. On the other hand, too much artificial lighting can also be a safety risk due to the increased glare and shadows. So, thinks about ways to maintain a balance between the two. 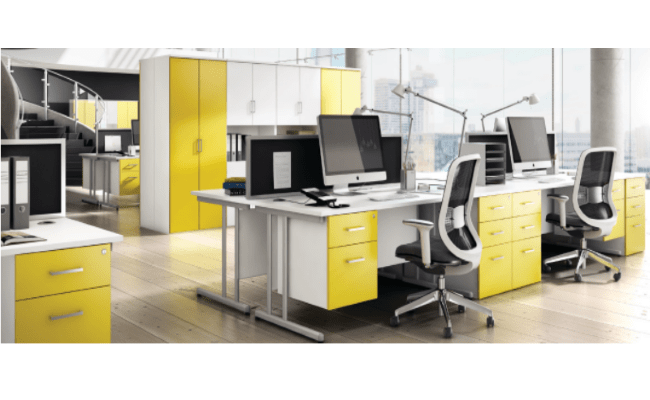 Office furniture may look like a small detail, but it is an important part of the office management mostly used for the indoor activities. Few offices show their age more than those that are loaded with peeling and mismatched furniture. If you can spot a lot of such furniture around in the office, replace them to switch to a more uniform theme. Doing so will give the building a cleaner and less cluttered feel while the new furnishings will also lend an air of professionalism to the environment. However, irrespective of that your employees deserve the most comfortable and convenient furniture to help them work efficiently. This is where the right furniture choice can add both a modern look and improved performance for the occupants. So, do keep the world class standards in mind such that of the best Singapore mesh office chairs with greater health benefits and design to also help the office look attractive and pleasant. Only if the office is well furnished, then will your employees feel comfortable and motivated. Do not ignore it. Often offices are colored in the same old bland colors. Is your office too? If yes, it’s time to break free of those old world trends. Though, choosing what colors to paint the office with may seem like a critical step, but it’s the most fun part of all. As some colors are warm and inviting, and others can bring about sadness and depression. In fact, a research study done by the University of Texas, Austin showed that color schemes have the capability to impact the mood of the employees in the workplace. Here’s a head start as to what kind of colors you should be looking into. Red is not for the faint hearted, but certainly for the detail oriented. 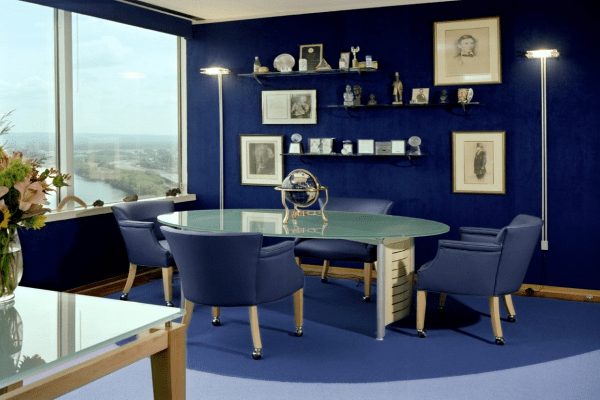 Blue is one of the most calming colors which promotes communication, trust, and efficiency. Thus perfect to the creative types. Yellow is the color of optimism, however, too much of it can cause anxiety and lead people to lose their temper. Green has a similar effect as the blue color that promotes harmony and balance and is, therefore, perfect for inspiring innovation. Gray is psychologically neutral, which lacks energy and prepares people for hibernation. So, avoid gray to keep the moral up. Overall workplace happiness has always been critical to the success of any business. But, if you have unhappy employees, they may be costing you a lot more than you realize. 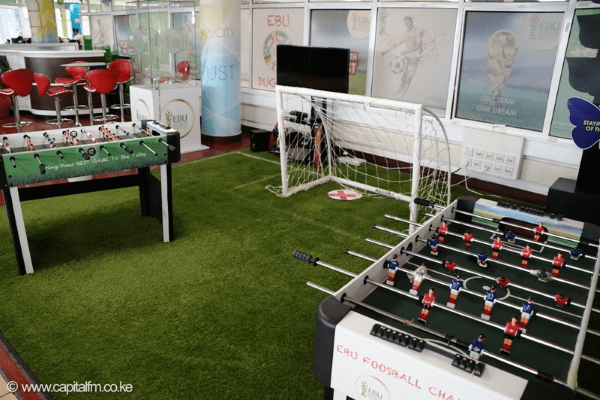 To help them cope up with all the stress of not missing the deadlines why not try to incorporate some elements of fun in the office. Then, whether it a ping pong ball or a lounge area for breaks will show your employees that work doesn’t have to be all work and also that you care! In fact, you can try to stream an important sporting event that might be happening around the world. If the world cup tennis, soccer, or the Olympics are on, play it on a pretty large projected screen in the common area. Who doesn’t like to congregate for a few minutes of commentary and then go back to work happily? Unhappy employees won’t be that unhappy after that. At the end, no matter what you choose to do with your office space, make sure to have fun with it to reflects your personality or your company’s brand as much as possible. In the meanwhile, do keep the people who work there to make it an amazing place in mind as well.